A stunning 2 bedroom apartment situated in the Acorn Lodge development of Newtownabbey. This development offers great access to University of Ulster, Hazelbank country park and Belfast is only 15 minutes away by car. Bus and rail options are also within walking distance. This first floor apartment consists of 2 bedrooms, furnished to high standard with master ensuite shower room, luxury main bathroom with full size bath and shower over bath, open plan living room and kitchen area, fully fitted and furnished to a high specification.The property also benefits from gas heating and uPVC double glazing and private parking. 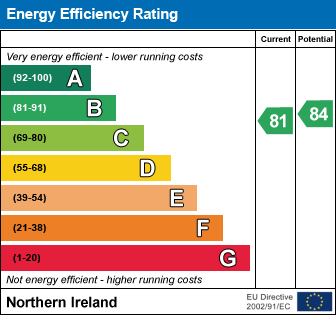 I am interested in 5 Acorn Lodge, 436 Shore Road, Newtownabbey. Please contact me about this property.